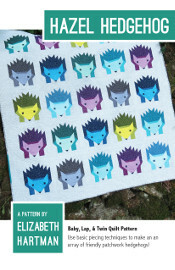 Hazel is a friendly patchwork hedgehog just waiting to be a part of your next quilt! This pattern uses conventional patchwork techniques (no paper piecing or templates) and can be made using precut 1Â½" strips precut 10" squares or an assortment of fabric scraps.The pattern includes a summary of the pieces needed to make single blocks so Hazel will be right at home in other quilts or smaller patchwork projects. The projects are made using standard patchwork piecing and do not involve any paper piecing or templates.Quilt sizes and fabric requirements are included in the listing images. 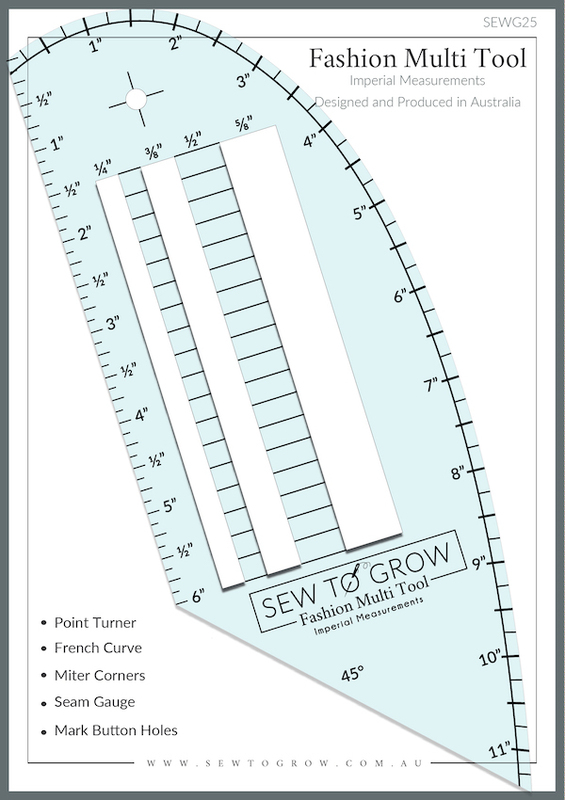 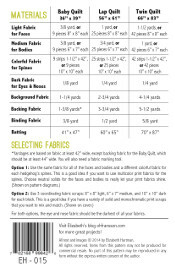 You will also need the fabric marking tool of your choice. 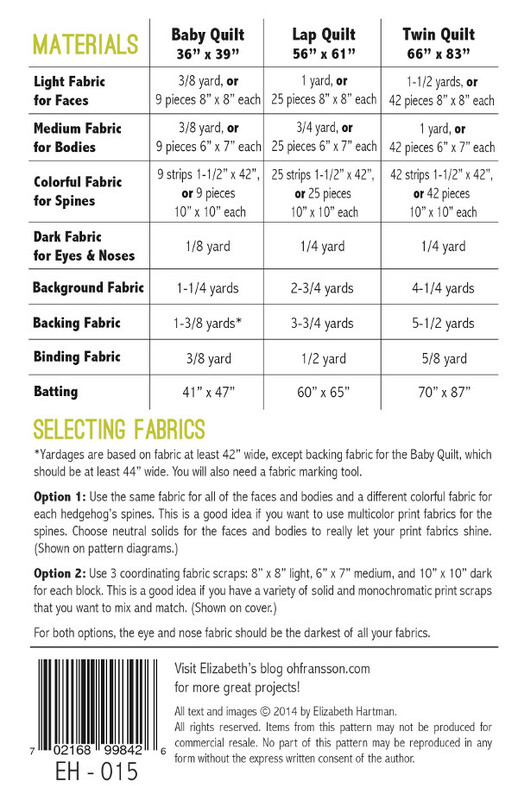 Please note that all yardages are based on fabric at least 42" wide except the backing fabric for the baby quilt which should be at least 44" wide.